Are you tired of being forced to adopt a currency that is used to fund programs and initiatives that you disagree with? Are you fed up with out of control spending and rampant inflation? Have you been lied to enough by scummy politicians who tell you one thing to your face and then do the opposite? Are you tired of watching the political puppetry where parties pretend to stand for different causes, but in actuality are after the same thing? We have a system that breeds lies and injustice. You've heard the saying, "power corrupts but absolute power corrupts absolutely." In the case of controlling the issuance of a populations money, politicians and bankers have absolute power and thus are absolutely corrupt. The entire fiat financial system is controlled by humans with agendas who make decisions on the fly. With so much power and responsibility in so few people's hands, there is no doubt decisions tend to be emotional. It's a gut feeling based on information that's corrupted up and down the chain. Are we going to increase inflation today? Maybe. Are we going to increase spending today and approve billions in welfare? Maybe. We as a population have little control over the future trajectory of our governing bodies fiat currencies. We don't know what to expect, but we do know it's probably not going to be beneficial to the people holding the currency over the long-term. Today, unlike any other time in human history, we have the ability as an individual located anywhere in the world, to choose what financial systems we want to participate in. There is a huge movement of early adopters rushing into cryptocurrencies as a way to opt out of fiat. Open source consensus is one of the major benefits of decentralized cryptocurrencies. This allows anyone to see with their own eyes the protocols hardwired into the currency itself. No more wondering about the inflation rate. No more wondering about benefit distributions or deceitful and misleading information. Today we can shop between thousands of cryptocurrencies to determine which ones meet our personal economic and moral requirements. In my opinion, open source consensus is one of the most important features that makes cryptocurrencies unique. This sets that stage to build honest and transparent economies, where the playing field is level for everyone. And if you think you can do better than what's available, then today you can create your own open source consensus algorithm and set the rules according to you. Let the market decide. Freedom of choose is an essential life blessing and anything that pushes the free to choose agenda is one that's good be me. What questions do you have about open source consensus? What would you like to add to the conversation? 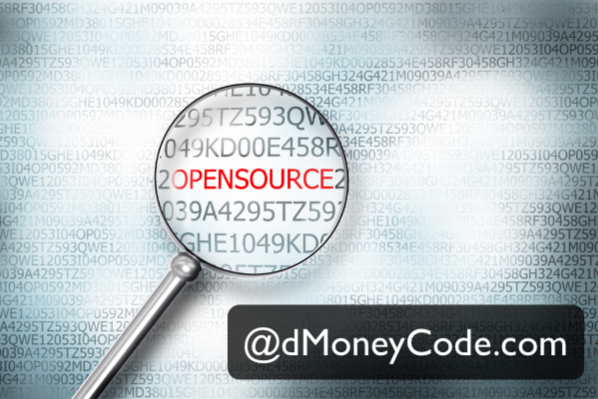 Thank you for checking out @dMoneyCode.com.